We have and extensive range of mains and IEC connectors as well as accompanying accessories. All of these are available from leading brands including Bulgin, Schurter, Schaffner, brennenstuhl and our own RS Pro range. What is a mains connector? 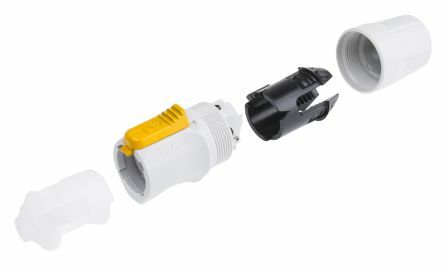 Mains connectors allow electric devices to be connected to the primary power supply (AC) running through a building via wall mounted power points or sockets. 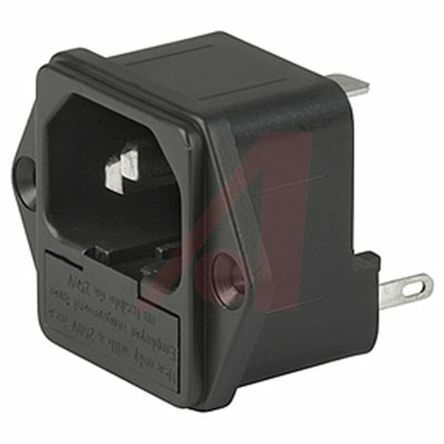 Essentially, it is an international standardised electrical power cord or coupler for household and general appliances for which the voltage does not exceed 250V or 16A. They come in different shapes, sizes and colours. The most famous of these is the common C13 kettle lead 3 pin mains power cord. What does IEC stand for? IEC stands for International Electrotechnical Commission. It is an international organisation that writes and publishes international standards for all electrical and electronic technologies. These are collectively known as electrotechnology. What types of mains and IEC connectors are available? You'll find IEC connectors, adaptors and filters as well as mains connectors, plugs, sockets, and test blocks. We also stock extension leads, trailing sockets, RCD plugs, travel adapters and a full selection of power distribution accessories. Extension leads: cable that offers the ability to extend the range of an AC power supply. IEC accessories: insulation boots, retaining clips, light pipes and locking clamps. IEC adapters: twin bloc adapters, screw terminal adapters, three way adapters. 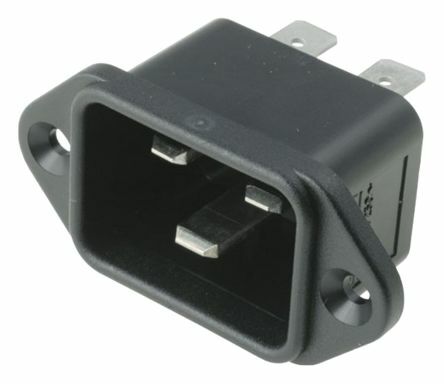 IEC connector: a range of IEC types from C1 for electric shavers, all the way through to C20 for UPS units. IEC filters: for precautionary measures in equipment where interference may prevent proper usage. Mains accessories: cable and power modules, housings, sealing boots and caps, wall plates. Main in-line connector: typical 2- and 3-pin plug and socket connectors to extend cables. Mains plugs and sockets: general household 2- and 3-pin plug heads and sockets. 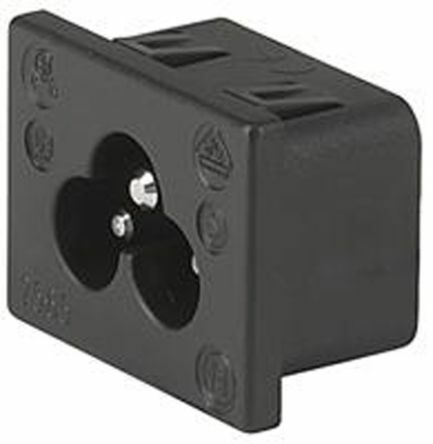 Mains test blocks: a temporary power receptacle where equipment can be plugged in to test. Power distribution accessories: rack and row unit accessories for power management in equipment. RCD plugs: a residual current device to prevent fatal electric shocks. Trailing sockets: gang extension leads for power distribution across multiple plugs. Travel adapters: plug in adapters for in 2- and 3-pin configurations for multiple locations around the world like UK, Europe, the Americas and Asia. Professional range of Schurter IEC sockets from the 2565-K series. The sockets are suitable for appliances with protection class I acc. to IEC 61140. Body Orientation - StraightIEC Connector Type - C6Termination Method - Quick Connect, SolderBlack.